Our Products include Gardner Denver NASH Liquid ring vacuum pumps which Vac-Cent Services manufactures 100% locally. 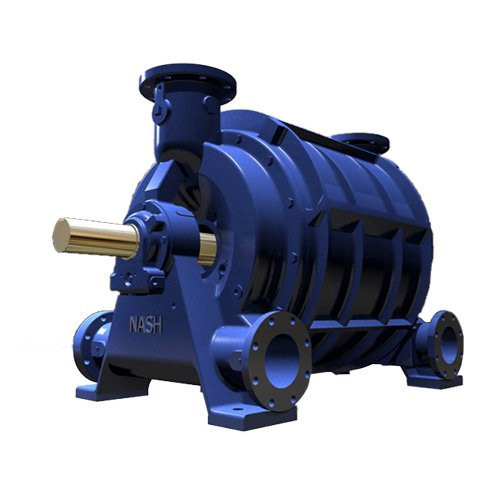 In addition, we distribute and import, Rotary & Carbon vane vacuum pumps, Side channel blowers and various accessories pertaining to Vacuum processes. Latest additions to the Product range include Hoffman & Lamson Centrifugal fan blowers and Vac-Cent is also an official distributor of the Compair range of compressors and accociated equipment, which includes the Hydrovane compressor. Vac-Cent Services is responsible for sales and service to the sub-equatorial Africa and Indian ocean islands region. These services include on-site Liquid ring vacuum pump Performance testing and Vacuum surveys. Our competent Technical Sales staff has years of experience in the field on various processes to assist customers with new installations and improvements on current processes. It is the undertaking of Vac-Cent Services (Pty) Limited to offer 100% locally manufactured Nash® Liquid Ring vacuum Pumps and Compressors of the highest quality to the various markets it is servicing. We will train all our personnel to ensure that they are competent and confident within their specific fields. We will maintain our ISO 9001:2015 Quality System to ensure that all our customers will be confident within their specific fields. That we will serve the community by implementing and maintaining manufacturing procedures that are environmentally friendly. To manufacture vacuum pumps and compressors of the highest standard, with regard to Total Quality Management. To create a working environment that is safe and where all employees can be developed to their full potential. To be and remain market leaders in our field of expertise. Increase our market share and develop new market areas with existing and new product lines. Reduce our costs with due regard to quality and to supply our products to end users at optimum prices. Create wealth for shareholders and employees by successful implementation of above mentioned. Vac-Cent Services (Pty) Ltd, an ISO 9001:2015 company, was formed in the second quarter of 1987 with the objective of retaining the manufacturing licence for Nash Liquid Ring Vacuum Pumps and Compressors and related products, in South Africa.